Upstart financial firms such as Square, Lending Club and SoFi could soon have some of the same powers now held by their older, stodgier banking competitors. The nation’s top bank regulator, the Office of the Comptroller of the Currency, said Friday that it would start issuing bank charters to online lenders, payment companies and other financial technology firms. The move could allow those firms to simplify their businesses, but also require them to undergo the same type of elaborate federal examinations now reserved for traditional financial institutions. So-called fintech companies have pushed the OCC to allow them to seek federal charters, and the agency has been considering the move since earlier this year. In a speech Friday at the Georgetown University Law Center, Comptroller of the Currency Thomas Curry confirmed that the agency would move forward with the plan. He said the agency decided to do so because, “First and foremost, we believe doing so is in the public interest,” adding that fintech firms “hold great potential to expand financial inclusion, empower consumers and help families take more control of their financial matters,” according to his prepared remarks. Though the agency won’t start issuing charters until next year at the earliest, Curry’s decision could be a positive sign for fintech firms, which have had a rough year amid concerns over the quality of online loans and diminishing interest from investors. 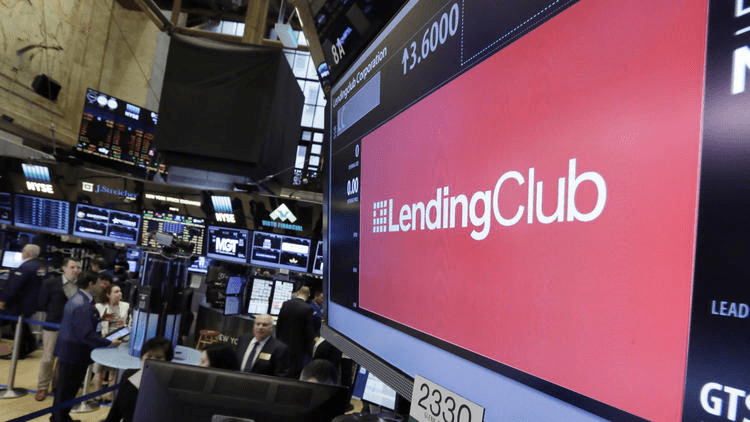 That has led to layoffs and cutbacks at some of the industry’s leading players, including San Francisco firms Lending Club and Prosper. Nat Hoopes, executive director of the Marketplace Lending Assn., a trade group created earlier this year by the firms, called the OCC’s move a step forward for the fast-growing industry. “The OCC has clearly recognized the significant positive impact fintech companies are having on our economy,” he said. A bank charter allows a company to provide several types of financial services that are difficult or impossible to offer without one. For instance, only banks have direct access to the payment systems used to process credit and debit card transactions, meaning firms such as San Francisco payments provider Square cannot provide its services without them. Lending companies can make loans without a national bank charter, but to do so they need to be licensed in every state where they do business and follow individual state lending laws that might include interest-rate caps. To avoid the cost and complexity of state licensing and state rules, many online lenders issue their loans through deals with chartered banks, which can lend nationwide and aren’t subject to state rate caps. But those relationships can be costly. Scott Pearson, a Los Angeles attorney who specializes in financial regulation issues, said lenders will probably be the firms most interested in seeking a charter. “It’s going to create essentially a new option — rather than partnering with a bank or engaging in state-by-state compliance, you could pursue a charter,” said Pearson, a partner in the Century City office of Ballard Spahr. The ability to seek a bank charter could also mean more bargaining power — and lower costs — for fintech firms that opt to continue working with banks. Removing banks from the lending process could additionally clear up some uncertainty for fintech lenders, who have faced legal scrutiny over their relationships with banks. A handful of borrowers have sued online lenders that issue loans through outside banks, saying the banks have no real interest in the loans — that they aren’t the “true lender” — and that the relationship with the bank exists only to skirt state interest-rate caps. Consumer advocates, though, argue that a national banking charter would have the same effect, creating a way for lenders to get around state laws and make it easier for firms to offer high-interest loans. In a letter sent to the OCC on Friday, a group of 49 organizations, including the Center for Responsible Lending and the U.S. Public Interest Research Group, said they oppose any fintech bank charter that allows companies to ignore state rate caps. The letter went on to argue that fintech companies wouldseek charters only if they believe the federal rules would be less stringent than state ones. But Douglas Merrill, chief executive of Hollywood lending and credit-scoring firm ZestFinance, said that’s not necessarily the case. He said it could be easier for companies to follow a single set of federal rules, even if they are strict, than to follow 50 different sets. “Even if some [state rules] are simpler, there are just more of them,” he said. Consumer advocates aren’t the only ones worried. Camden Fine, chief executive of trade group Independent Community Bankers of America, which represents small banks, said the group has “serious concerns” with the proposal. Curry promised to do just that, saying fintech companies should not expect a “lighter touch” from his agency. “I have made it clear that if the OCC grants a national charter in this area, the institution will be examined regularly and held to the high standards the OCC has established for all federally chartered institutions,” he said. Pearson, who represents several fintech companies, said some of his clients have expressed interest in becoming chartered, though that won’t make sense for many companies. Getting and keeping a charter will be a difficult and expensive proposition and may make sense only for big, established firms, he said. It’s not clear when the OCC will begin issuing the new class of charters. The agency has asked industry representatives and advocacy groups to submit comments on its proposal by Jan. 15. The agency wants to know, among other things, how it should ensure that fintech firms provide their services to low-income consumers and small businesses. That’s a concern already raised by consumer advocacy groups, which say that rules requiring banks to serve those customers generally apply only to banks that take insured deposits — something many fintech lenders would not do since they rely on investor funds to make loans.